Many new novelty varieties offer new colours, 2 tone bi colours and long lasting double flowers. Tulips should be rehydrated with the sleeves on to keep stems straight. Tulips can be stored dry at 2 degrees celsius for up to a week before re hydrating. Graded by stem length , sleeved and bunched by 10 stems. "Dutch" type tulips are usually 30 to 60 cm. 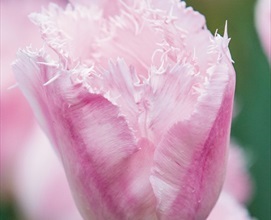 "French" type tulips are usually 50 to 70 cm. 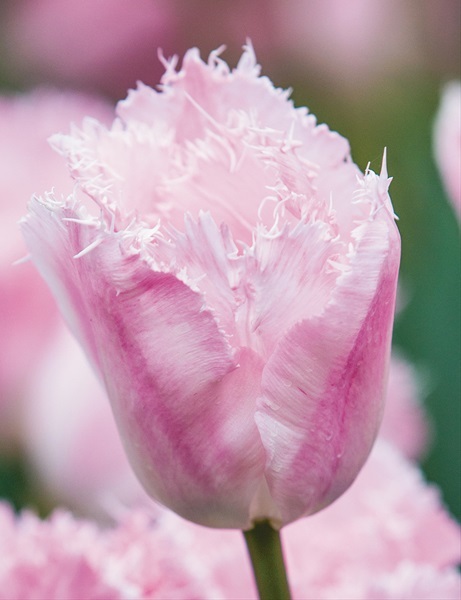 "Coupe" graded Tulips are much shorter but offer the same large head size for Parrot, Double & French Tulips - typically 30cm to 40cm - offers exceptional value for the price. Should be shipped with blooms just starting to show colour but still partially "green".